Congratulations to Gimli, LoveMyDog’s ‘Pooch of the Month’ for August who has won a LoveMyDog Blue Spencer Corduroy dog lead. 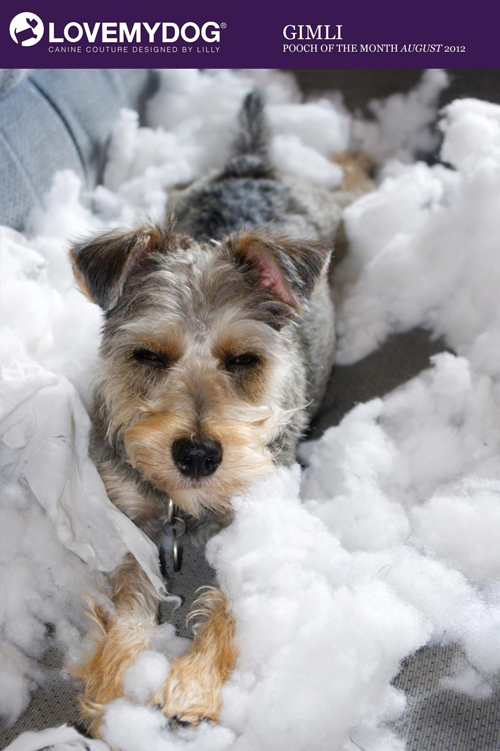 LoveMyDog’s creative Director Lilly Shahravesh said the photo put a big smile on her face and chose Gimli as the winner partly because of that mischievous look! You can have a look at all of the recent entries in our monthly competition here.